Theresa May’s Brexit deal has been met with scepticism by many in her party and across the political spectrum. The withdrawal agreement will be voted on by Westminster in December, and looks likely to be thrown out in its current form. To bolster support for her negotiation, May issued a letter setting out why she believed it was the best deal the UK would get on exiting the EU. Strong criticism came from First Minister, Nicola Sturgeon, who said “almost nothing” in the Prime Minister’s letter was true. Ferret Fact Service decided to take a look at the letter, and check the claims made by the Prime Minister. We found four fact-checkable claims which we could assess. We will take back control of our money, by putting an end to vast annual payments to the EU. Instead, we will be able to spend British taxpayers' money on our own priorities, like the extra £394 million per week that we are investing in our long-term plan for the NHS. Spending on the NHS has been the subject of a number of controversial claims during the Brexit period, including the misleading statement that £350m sent to the EU could be spent on the health service instead. Theresa May suggesting that an extra £394m will be spent as “vast annual payments” to the EU will be ended. This was announced by the Prime Minister in June. This money will go to NHS England, but will then be reflected in grant funding for Scotland through Barnett consequentials, the system where funding for the devolved countries is calculated to reflect changes in UK government spending. On 21 June, Sturgeon told Holyrood she did not have specific details of this increase. This means that by 2023-24, the UK government will be spending £394m more on the NHS, when adjusted for inflation. The weekly amount will increase gradually year-on-year until that point is reached. It does not mean that £394m will be spend each week from now. Currently, the UK pays around £13bn a year to the EU (£250m per week). This included the reduction from the EU rebate, which was negotiated by Margaret Thatcher’s government in 1985. According to a House of Commons briefing on the subject, in 2017 the UK received £4.1bn of public sector receipts from the EU. This means the net contribution to the EU was around £8.9bn. In the letter, May refers to ending the “vast payments” to the EU, and has previously described this as a “Brexit dividend”. However, there is no guaranteed money that will flow to the NHS due to the UK leaving the EU. The Institute for Fiscal Studies has suggested that the short term of Brexit had increased pressure on the health service through the devaluation of the pound leading to increased costs for goods and services. In Scotland, currency fluctuations associated with Brexit have already cost the NHS in Scotland £420,000, and are predicted by officials to cost £5.95m as contracts are renewed. “So far the implication is that Brexit has reduced rather than increased the funds available for the NHS (and other public services), both in the short and long term”, the IFS report read. The Brexit withdrawal agreement also commits the UK to continue paying into the EU during the transition period, meaning that ending “vast payments” to Brussels will not happen in the short term. The number of laws which are made in Brussels has long been debated by those on both sides of the Brexit argument, and estimates vary wildly on the proportion of EU laws to which the UK abides. Leaving the European Court of Justice (ECJ) has been a central part of Theresa May’s Brexit plan since the referendum in 2016. The ECJ is the highest court in the European Union, and decides whether the EU is acting legally, as well as arbitrating disputes between member states and EU institutions. Member states can also use the court to challenge EU decisions and legislation. It has a central role in enforcing and interpreting the actions and rules of the single market. Ending the jurisdiction of the ECJ is more complicated than it might seem, because any trade that is done within the single market remains under the domain of the court. While Britain will be free to negotiate trade deals with both the EU and other countries, any business outside the single market that wants to trade in the EU needs to abide by the ECJ’s rulings. When the UK leaves the EU and ends membership of the single market, it will still need to work with many European agencies, which are under ECJ jurisdiction. Put simply, even after Brexit, the court will still have an influence over some aspects of British life. However, the ultimate jurisdiction may return to the UK after the withdrawal period ends. The withdrawal agreement does offer protection to those EU citizens who are already living in the UK. All who enter the UK to live before the end of the transition period, which could last up to 2022, will have the same rights to work, live and study as citizens under current EU law. This means the UK government will need to allow people to come to the UK to live under the same rules as EU membership, until the end of the transition period. However, May admitted in parliament that some elements of the pension system, such as the protection of pensions for British expats living in the EU after Brexit, had not been confirmed. The question of post-Brexit trade is perhaps the most important part of the negotiations so far, with multiple options touted for Britain’s future trade relationships. 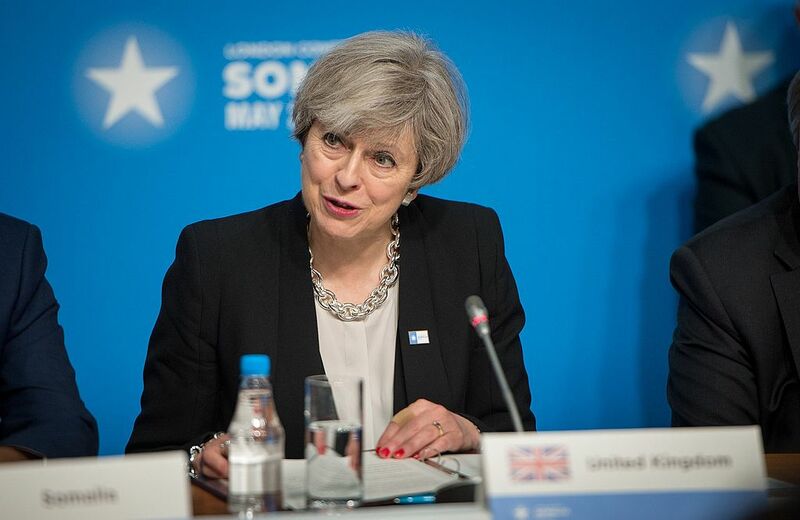 While many Remain voters hoped that negotiating to stay in the single market might offset some of the predicted financial consequences of Brexit, Theresa May has denied this is a possibility. Instead, she has proposed a bespoke ‘frictionless’ free trade deal for goods between the EU and UK, the details of which have yet to be agreed. Digital trade and services – products which are not physically tangible, such as transport, travel, insurance and financial services – would require a new agreement suing the framework provided by World Trade Organisation (WTO) rules. There have been studies done to compare the benefits and drawbacks of trade deals negotiated after Brexit. The UK government released research on November 19 which looked at the potential scenarios, but there is no guarantee that the Prime Minister’s proposed trade deal will be accepted by EU lawmakers. According to the UK government research, the trade agreement set out in the government white paper would likely result in a small reduction (-0.6 per cent) in GDP per capita when compared to the status quo. These estimates assume no change to European Economic Area (EEA) migration arrangements. If the deal is not accepted and the UK reverts to a ‘No Deal’ scenario, the predicted GDP impact increases significantly, with around 7.7 per cent reduction in the size of the UK economy.